Microsoft announced a range of new products yesterday including the Surface Pro, Laptop, and Studio devices. But the company was not done there as there was one more surprise remaining for the crowd. 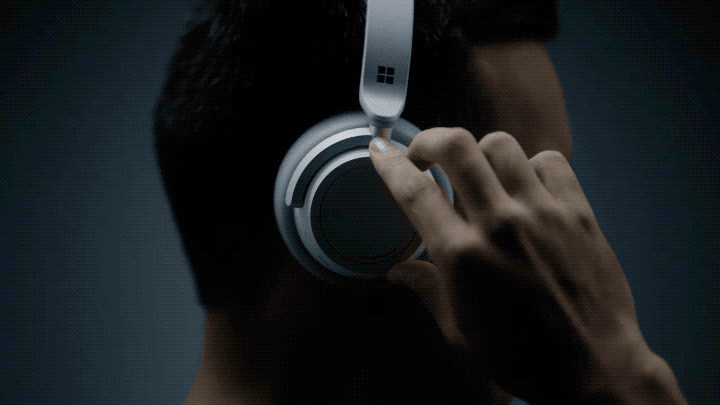 They launched the new Surface headphones, which is a completely new territory for Microsoft as they venture into the headphone market with these noise-cancelling headphones. The company is aiming to build a reputation in the headphone segment with this launch and compete against the likes of Bose and Sony. The Surface headphone is a bit heavier(290 grams) compared to the Bose QuietComfort 35 II (234 grams) or the Sony WH-1000XM3 (254 grams). Still, the headphones are light on the head and it has a solid built and very comfortable to wear with the plush ear pads and this is exactly what any company should be offering in premium headphones. The headphones has only one colour option, which is light grey and we feel there is actually no need for other colours as it looks so attractive. The Surface headphones have adjustment rings on each cup, one for changing your volume level and the other for controlling the amount of noise cancellation you need. A lot of effort has went into the designing of these dials with almost ’13 points’ of noise cancellation. The Surface headphones is a premium offering from the company and will cost around $350, which should be available soon and ship during the upcoming holiday season. Although for now, the sale of headphones will be limited and will release only in the U.S.